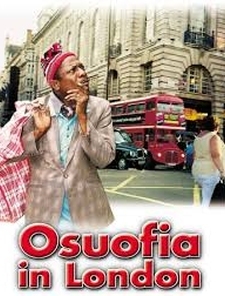 A village man called Osuofia receives the shocking news that his brother who lives in the United Kingdom has died. At first, he acts indifferent but when he learns he is the benefactor of a large inheritance. He soon backs up his bags and heads to London. There he must battle navigating a completely different culture and his brother’s lawyer and accomplice Samantha who are doing everything in their power to steal his inheritance. From asking for Agege bread in McDonald's to chasing Pigeons in Piccadilly Circus, this film is never short of knee-slapping moments.